For the brightest kids on the block – say hello to the LED Maxi Micro Scooter. 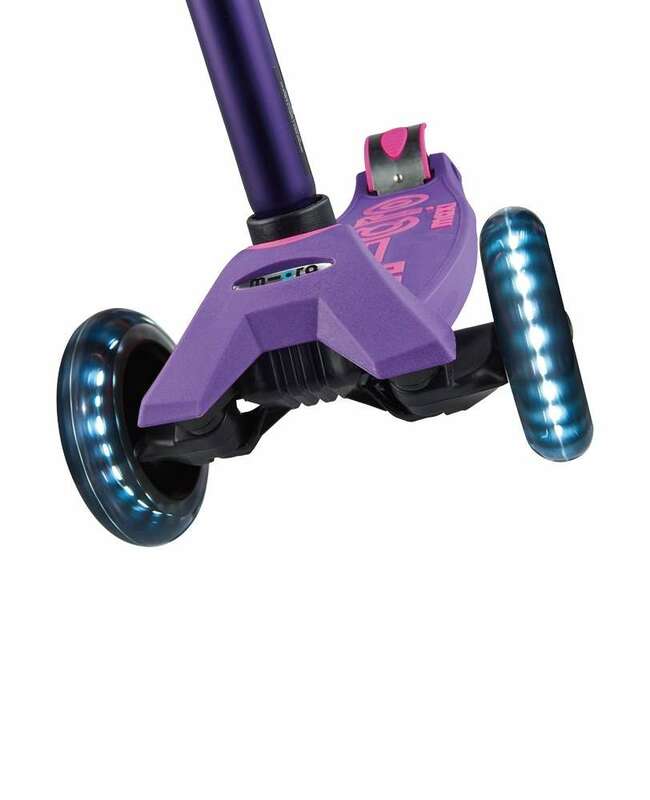 The ultimate kids’ scooter has rolled in with LED wheels which light up when you scoot. These motion-powered LED wheels generate light through dynamo mechanics. Which means there is no need to worry about replacing batteries or the lights going out. An exciting addition to the Maxi Micro Deluxe you already know and love. 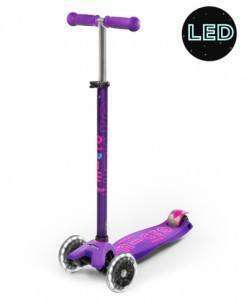 The 3 wheel Maxi Micro Deluxe LED Purple Scooter is a fun and exciting new step for kids who have out grown their Mini Micro Deluxe. 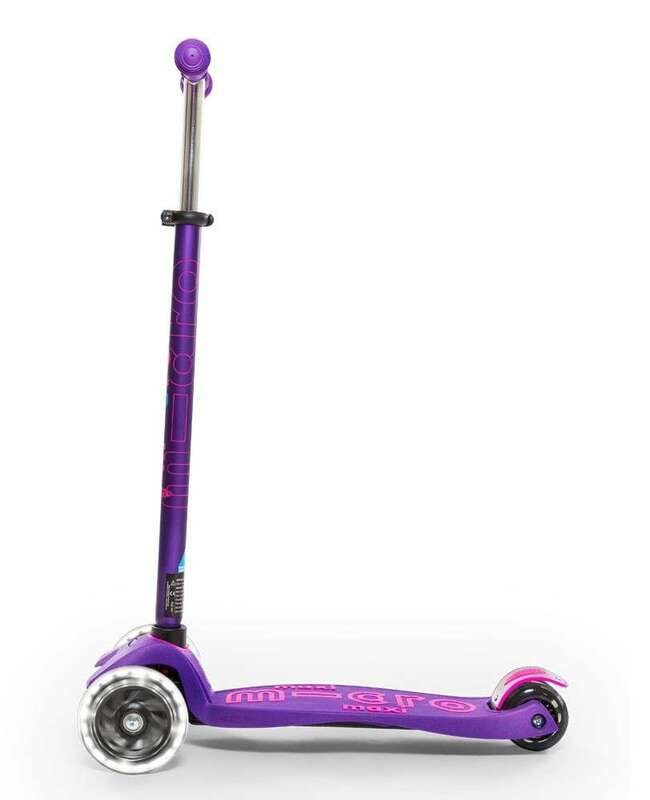 The adjustable handle bar allows the scooter to grow with your children through the early school years safely with an anodised T-bar, extra grip silicone injected deck with the weight limit of 70kgs. 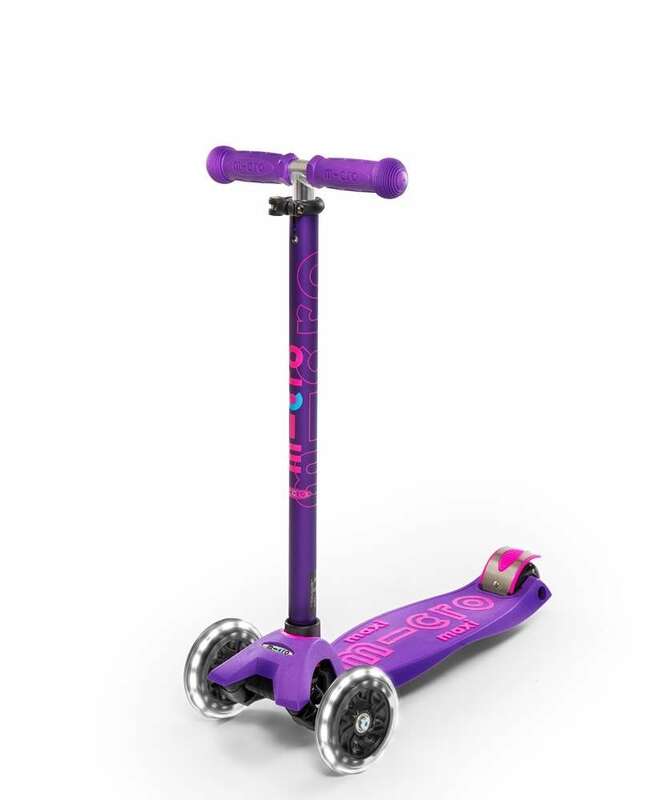 This scooter has a lean-to-steer system that allows kids to surf the turf whilst developing their stability.